CM 1/c Joe Richard Jackson, son of Mr. J. R. Jackson, Olney, husband of Claudia V. Brown, attended Olney School. 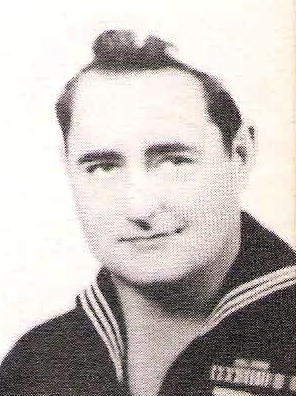 Entered Navy, 1942, trained in Norfolk, Va., Camp Bradford, Va. and Camp Endicott, R.I. Served in Guadalcanal, Saipan and Okinawa. Awarded GCM, APO and Pres. Unit Cit. DIscharged in 1945.